Researchers have developed a genome-editing tool for the potential treatment of mitochondrial diseases: serious and often fatal conditions which affect 1 in 5,000 people. The researchers, led by the University of Cambridge, applied an experimental gene therapy treatment in mice and were able to successfully target and eliminate the damaged DNA in mitochondria which causes the devastating conditions. Their results could provide a practical route to treating patients with these diseases and may provide a future alternative to mitochondrial replacement therapy, or ‘three-parent IVF’. This is the first time programmable genome engineering tools have been used inside a living animal, resulting in such significant modification of mitochondrial DNA. Mitochondria are the powerhouses inside our cells, producing energy and carrying their own DNA. They are inherited from a person’s mother via the egg, but if they are damaged, it can result in a serious mitochondrial disease. For example, MELAS Syndrome is a severe multi-system disorder causing progressive loss of mental and movement abilities, which usually becomes apparent in early childhood. There are typically about 1000 copies of mitochondrial DNA per cell, and the percentage of these that are damaged, or mutated, will determine whether a person will suffer from mitochondrial disease or not. Usually, more than 60% of the mitochondrial DNA molecules in a cell need to be mutated for the disease to emerge, and the more mutated mitochondrial DNA a person has, the more severe their disease will be. Conversely, if the percentage of mutated DNA can be reduced, the disease could potentially be treated. Mitochondrial diseases are currently incurable, although a new IVF technique of mitochondrial transfer gives families affected by mitochondrial disease the chance of having healthy children – removing affected mitochondria from an egg or embryo and replacing them with healthy ones from a donor. “Mitochondrial replacement therapy is a promising approach to prevent transmission of mitochondrial diseases, however, as the vast majority of mitochondrial diseases have no family history, this approach might not actually reduce the proportion of mitochondrial disease in the population,” said Dr Payam Gammage, a postdoctoral researcher in the MRC Mitochondrial Biology Unit, and the paper’s first author. “One idea for treating these devastating diseases is to reduce the amount of mutated mitochondrial DNA by selectively destroying the mutated DNA, and allowing healthy DNA to take its place,” said Dr Michal Minczuk, also from the Medical Research Council (MRC) Mitochondrial Biology Unit, and the study’s senior author. To test an experimental gene therapy treatment, which has so far only been tested in human cells grown in petri dishes in a lab, the researchers used a mouse model of mitochondrial disease that has the same mutation as some human patients. The gene therapy treatment, known as the mitochondrially targeted zinc finger-nuclease, or mtZFN, recognises and then eliminates the mutant mitochondrial DNA, based on the DNA sequence differences between healthy and mutant mitochondrial DNA. 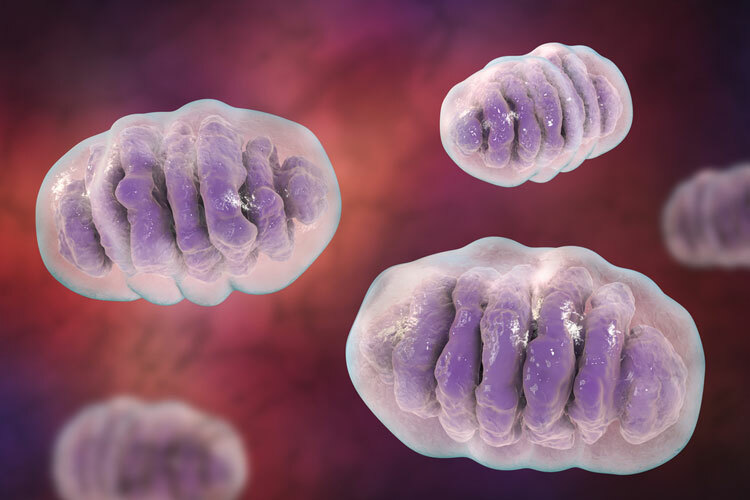 As cells generally maintain a stable number of mitochondrial DNA copies, the mutated copies that are eliminated are replaced with healthy copies, leading to a decrease in the mitochondrial mutation burden that results in improved mitochondrial function. The treatment was delivered into the bloodstream of the mouse using a modified virus, which is then mostly taken up by heart cells. The researchers found that the treatment specifically eliminates the mutated mitochondrial DNA, and resulted in measures of heart metabolism improving. Following on from these results, the researchers hope to take this gene therapy approach through clinical trials, in the hope of producing an effective treatment for mitochondrial diseases. This work was supported by the Medical Research Council and was performed in collaboration with Sangamo Therapeutics and the Max Planck Institute for Biology of Ageing in Cologne. Reference: Payam A. Gammage et al. ‘Genome editing in mitochondria corrects a pathogenic mtDNA mutation in vivo.’ Nature Medicine (2018). DOI: 10.1038/s41591-018-0165-9.